From Oregon State University, Kathleen Dean Moore delivers an artful talk about our attack on Nature, and hope of reviving love instead. Recorded in Vancouver. With readings from her work & original songs by Libby Roderick and Tempting Eve. I record a lot of speeches, and listen to many more. 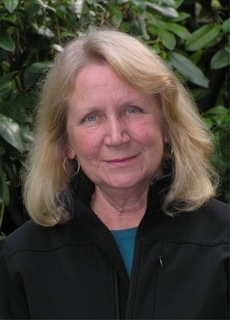 This talk by Dr. Kathleen Dean Moore of Oregon State University is one of the best speeches of 2012. The title was “It’s Wrong to Wreck the World: Climate Change and the Moral Obligation to the Future“. The presentation was organized by Simon Fraser University, in their Continuing Studies in Science and Environment program. Kathleen spends every summer on a remote island off the coast of Alaska. She’s in touch with Nature there, and at home in Oregon. In this artful, moving speech, we get some readings from her work – examples of why her books are so popular. Her latest book, a collection of 1500 short essays about our obligation to the future, is called “Moral Ground: Ethical Action for a Planet in Peril.” The writers are among the most famous people in the world, all speaking for the rights of the next generation(s). “Morality” sounds boring. This speech surprised and moved me. It will do the same for you. The program also premieres a new original song by Libby Roderick: “The Lifeboats Are Burning”, and a song inspired by a Radio Ecoshock Show – “We Are” by the new band Tempting Eve in Sydney Australia. ← Is It Too Late for Environmentalism? Have sent this out to so many folks, all of whom were so moved…listened three times this weekend as I gardened and continue to absorb her wise and heartfelt words… Therapeutically energizing as tears flow again and again, a connection to deep truths rekindling with each breath she utters.